Sometimes it may not be economical or practical to use leads and a crane on a job, particularly if the job is in a remote area or confined space. 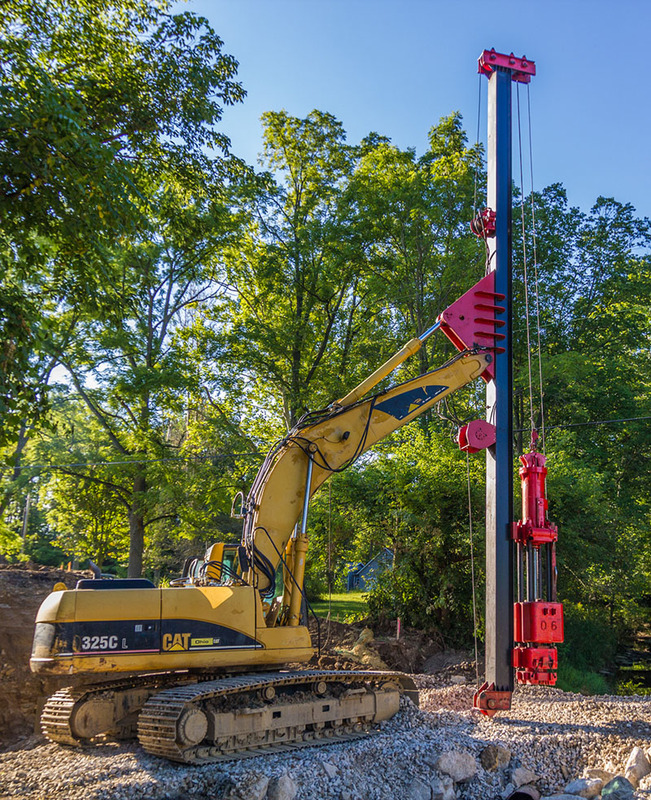 Our Excavator Mounted Mast is ideal in these situations because it provides a significant cost savings for the transportation, mobilization and de-mobilization of a crane. 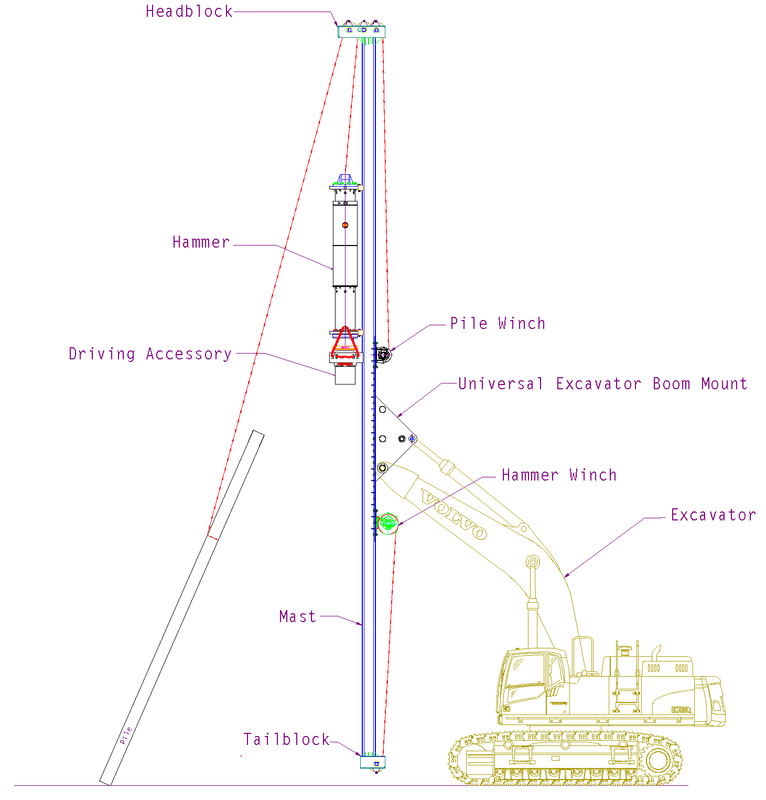 The system has the ability to boom down to travel safely underneath utility lines, without removing the hammer. The mast comes in a standard length of 45', with bolt on tail sections up to 15'. It is equipped with a hammer winch and pile winch controlled by an independent "plug and play" valve system with in-cab controls. Other features include a removable head block and boom point connection, as well as a universal two pin connection point.